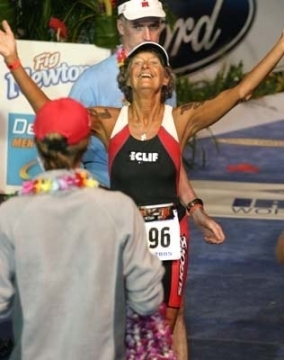 In the course of talking to my mom about changing body shapes as we grow older, I mentioned how great of shape I’ve noticed the older female triathletes to be in. My mom then tried to tell me that men do really well in their old age in such sporting events because they have more muscle mass and testosterone, but women don’t do so well. I, of course, took to google and found a stellar counter example: Madonna Buder, also known as the Iron-Nun. Though this nickname may initially sound strange and even comical, you will realize shortly that it is the absolute embodiment of awesomeness. 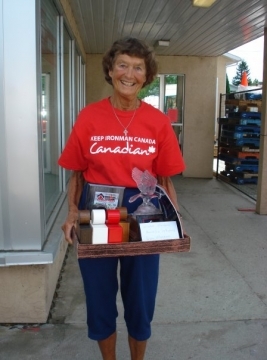 This woman, born in 1930, is now 82 years old and completed her last Ironman under 17 hours at the age of 81 years old. 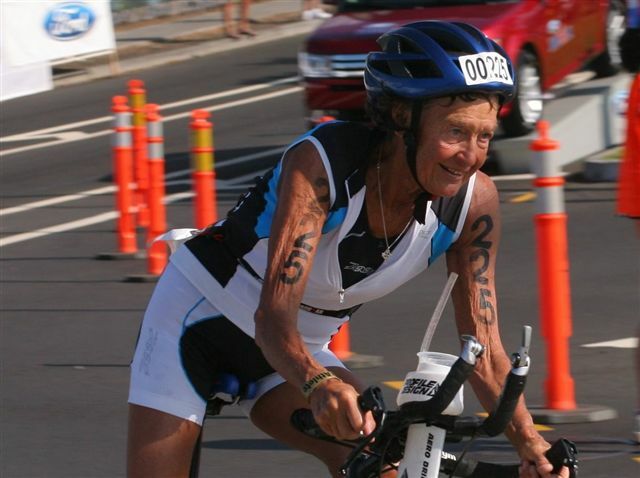 At the age of 76, she became the oldest woman to complete the Hawaii Ironman, also under 17 hours. 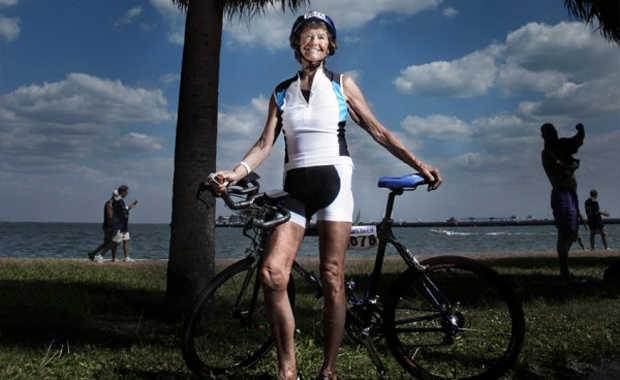 Overall, she has finished 325 triathlons, 45 of which were Ironman distance races. 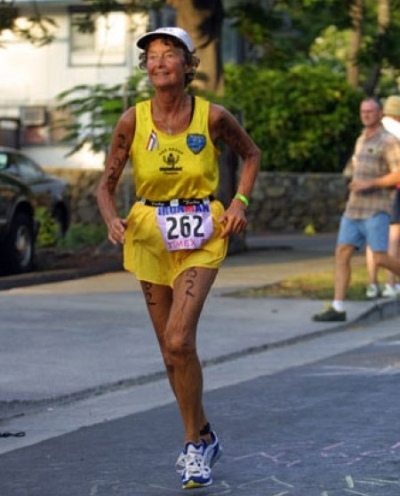 Can you imagine the dedication that it has taken for this woman who just started training at age 48 and completed her first Ironman 7 years later? So for anyone out there who thinks they are too young, too old, too big, too skinny, too out of shape, this is the end of the line. No more excuses. Get out there and find something to compete in, something to train for, some goal to reach. In the words of Ms. Buder herself, “Well, you know, as long as God is giving you your health, there’s no reason to stop”. In short, the Iron Nun gives a whole new meaning to the phrase when she says, “I train religiously”. If she can do it, why can’t you?